NBA Live 10 is one of six EA Sports titles that will lose online support on January 11, according to a notice from Electronic Arts. While retiring online features for sports titles more than a year old is not uncommon for any sports publisher, killing multiplayer support for NBA Live 10, which released in 2009, is noteworthy as it symbolically means the end of any professional basketball simulation offered by EA Sports. A scan of NBA Live's multiplayer community on PlayStation 3 just before publication showed 377 online and 36 playing a game in progress. NBA Live 10 released in October 2009, and when EA Sports' NBA Elite reboot failed to launch in 2010, the label still kept the game active and offered roster updates for that season. EA Sports moved its NBA development to Florida following the NBA Elite 11 debacle, and then sat out 2011, a year that opened with the league's owners locking out the players and cancelling two months' worth of games. 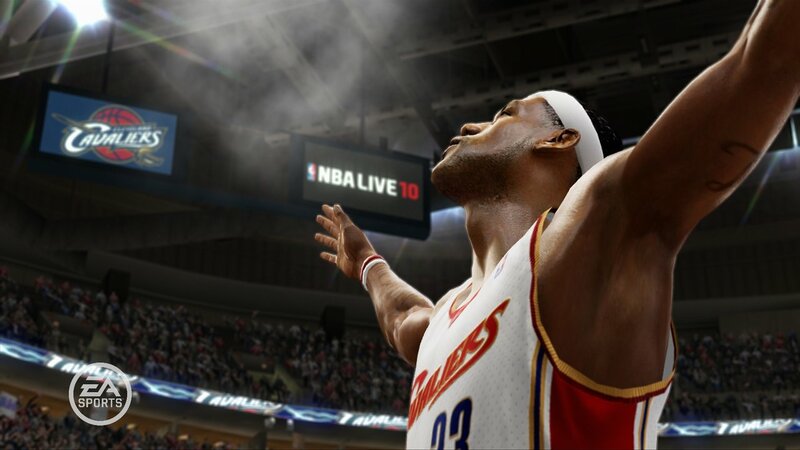 EA Sports intended to deliver a reconstituted NBA Live 13 as a downloadable title this year but failed to meet that goal. In September, it canceled the game and put NBA Live off until next year, if it even releases then. No EA Sports NBA product has appeared on retail shelves since 2010's NBA Jam, which released for the Wii in October and was later hustled into service for the Xbox 360 and PS3 to cover for Live/Elite's absence. NBA Jam's 2010 retail release also is affected by the server shutdown, and will lose online support on the same day, Jan 11, 2013. Other EA Sports games affected include FIFA 11, NHL 11, Madden NFL 11 and NCAA Football 11, all released in 2010. This isn't fair, why would they shutdown the servers if so many people are still playing?, there are so many really really old games that until today still support multiplayer, this is indeed sad and not fair for those who bought the games and don't have the money to upgrade. 377 online and 36 playing a game is bugger all people, not "so many". Honestly, get off the high horse, if you want games to have multiplayer forever then only buy games that have decentralised, player ran servers. There's no point for EA to pay for the servers when there's so few playing. I still reckon it's pretty sad though and those poor players, u don't now who they are and what is in store for them, there should be a protest on this!